Hello to the lovely readers of A Fancy Affair! We are Coty and Mariah from Quirks and Twists and we are so excited to be guest blogging for you today! When Amanda asked if we would do a post for Fancy Fit Friday we were on board right away. 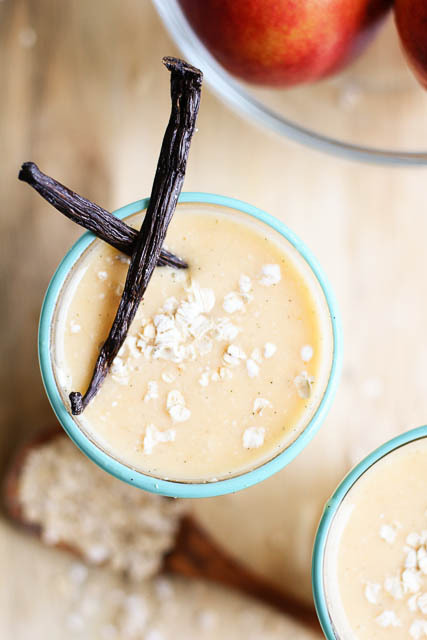 We knew we wanted to do a healthy breakfast smoothie, so we got to work putting together a recipe for a morning drink that will keep the hunger pains away until lunch time. 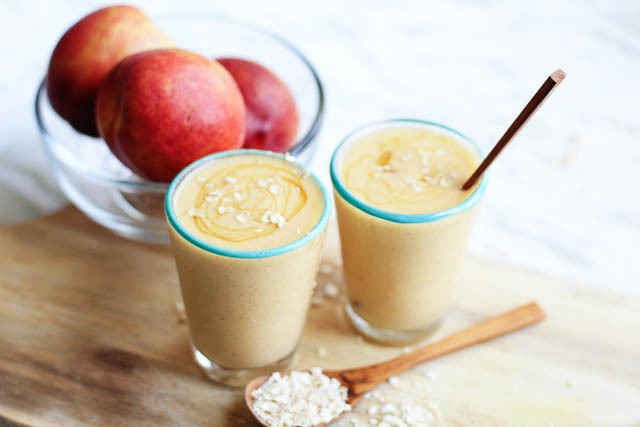 We came up with this vanilla peach oat smoothie, and I’m not stretching the truth when I say it is the bomb…or is it da bomb? Regardless, it’s really, really good. You know that feeling you get when you are trying out a new recipe…a little tweak here, a little twist there, and then the foodie stars align and you are holding in your hand a perfectly balanced, wonderfully delightful recipe? That is what we are sharing with you today. We know, it’s only a smoothie. It can’t be that great right? Only smoothie great, which on the totem pole of recipes is not very high. 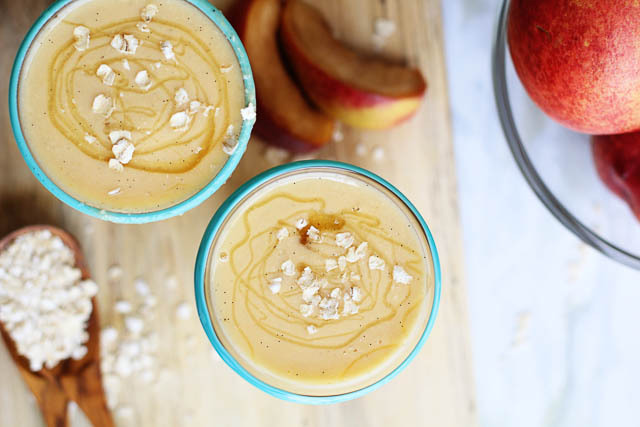 But we like to think of this smoothie as something more…an entire breakfast in a cup, or maybe peach cobbler blenderfied. 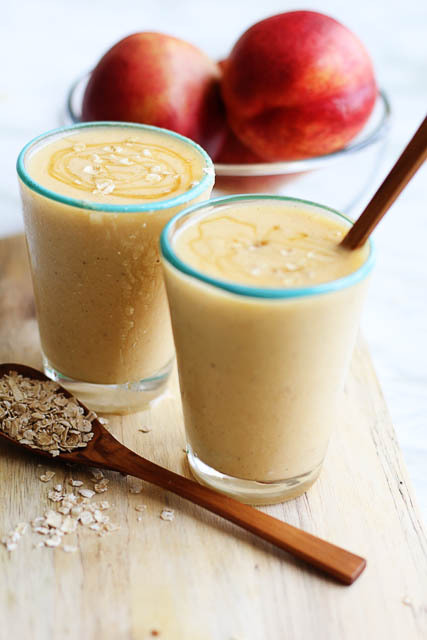 We wanted to make a smoothie that would actually keep you full throughout the morning so we used vanilla almond milk and rolled oats. The oats do not give it a weird texture. Just make sure you blend it until smooth. We hope you enjoy! Put all of the ingredients, except the honey or agave, in a blender and blend until smooth. For an added touch of sweetness, drizzle with honey or agave. Thank you for stopping by and #fancyfitfriday if you want to see more of these delicious recipes!